If anyone ever had a successful debut album, it's Ed Sheeran. + was a mega hit for him and have him hit single after hit single. Now we think there's a new album around the corner and it's time for Ed to send off + with a brilliant new single and this is exactly what we know and love from Ed. Give Me Love is a beautifully constructed track with delicate guitars and strings adding a depth only bettered by his soulful voice. The video? WOW! What an amazing piece of art this is - we see a modern day cupid spreading love around the city regardless of age, race or sexuality and this just adds to the impact of the clip. An interesting twist to the video at the end, brings a video perfectly suited to an this brilliant song. 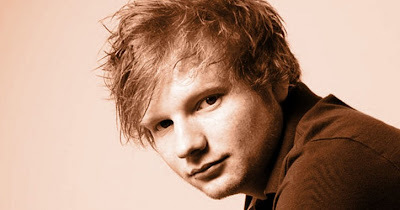 A masterful return to Pop for Ed, you gotta check out Give Me Love here now..!